Price Reduced!! !Location, Location, Location. 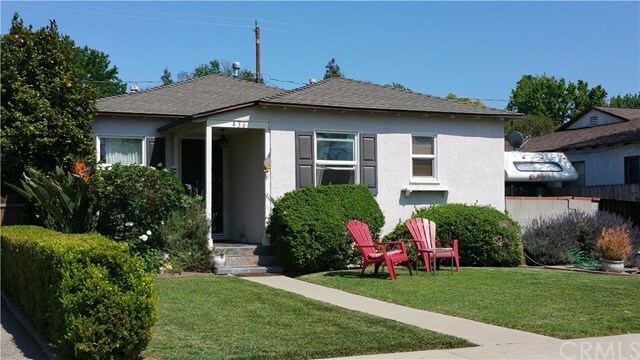 This beautiful 3 bedroom 1 bath Burbank home has 1018 sq ft of living space and a separate 2 car garage. It has laminate flooring in living room-dining room-all bedrooms and hallway, Dual pane windows and slider, Appliances included in sale are stove-frig and dishwasher, Granite countertops in the kitchen, Crown moldings, Fireplace in the living room, Central air and heat, upgraded electrical panel, Ceiling fans in the bedrooms, Nice front and backyard with grass, Covered patio in back and much more. This home is located in the Stevenson School district which is rated as one of the highest elementary school districts. Nice quiet neighborhood. Walk to schools and park. Close to studios, shopping and 101 frwy. Most of the remodeling was done in 2008, Don't miss your chance to call this home.